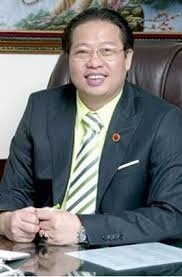 Hồ Đức Lam, chairman of the Việt Nam Plastics Association. The plastics industry with more than 2,000 firms has grown strongly in recent decades, with exports and domestic sales increasing year after year. According to the Việt Nam Plastics Association, there is still much room for growth, but a lack of domestic supply of raw materials is among the factors hindering it. Hồ Đức Lam, VPA chairman, talks to Việt Nam News about these issues and how the industry can develop in a sustainable manner. How do you assess the current status and potential of Việt Nam’s plastics industry? The plastic industry has enjoyed average growth of 15-20 per cent annually, higher than many other industries. Its exports have increased strongly to reach US$2.2 billion in the first eight months of this year, and will exceed $2.5 billion [the 2017 export revenue] this year. Its total revenues last year were $15 billion and will surely rise this year. Per capita consumption of plastic products in Việt Nam remains low compared to other countries in the region, at 40-45kg per capita compared to 90kg in Thailand, 200kg in Japan and more than 200kg in the US. Therefore, the industry still has much more room to develop. In addition, we see that some industries, even industries such as aerospace that use high-grade materials, have nowadays shifted to plastic products. As a result, sales of plastic products have grown rapidly. What are the challenges faced by the plastic industry? Our biggest challenge is that [though] many businesses have developed to become large enterprises, they account for just 10 per cent of the total number of enterprises in the industry. The remaining are small and medium-sized businesses. So we have a lot of disadvantages in terms of capital, technology and markets compared to foreign firms. This is a huge challenge. Another challenge is that we are importing up to 80 per cent of raw materials and domestic supply just meets 20 per cent of demand due to the underdeveloped petrochemical industry. Thirdly, the industry has encountered challenges in human resources development because we do not have any school specialising in training human resources for the plastics industry. Most graduate workers and engineers have to get on-the-job training. The final challenge is related to trade promotion. In the past the Government provided a certain amount of funding for the association’s activities, but it stopped the support in the last 10 years. I think it is appropriate. Enterprises must strive for and join hands with each other to develop the market. But the Government should have policies to help enterprises boost exports as other countries are doing. Can you tell us about market challenges faced by businesses in the plastic industry? Foreign investors are very interested in Việt Nam’s plastics industry and consider it a delicious cake for them due to the industry’s high growth rate, increasing export revenues and good growth potential. We see strong investment by foreign investors in the industry. They have acquired many Vietnamese companies, especially in 2017. Many of our large plastic firms sold 100 per cent stakes to foreign companies, while others sold a part or 51 per cent. Obviously this is a big challenge since firms have just grown big and have been bought. The remaining Vietnamese firms are very small, so we need to have a policy to enable them to compete healthily with foreign enterprises. Foreign firms, not only in the plastics industry but also in others, when investing in Việt Nam, get preferential treatment from relevant ministries, but Vietnamese firms do not receive proper treatment from ministries and agencies when they are established or expanded. The Government should have specific policies to create a level playing field between foreign and domestic companies. Many Vietnamese firms have already been sold to foreign firms. Do you expect this trend to continue? I think it will continue to happen in 2018 and 2019. Many deals are still under negotiation. Now local firms tend to be more careful in negotiating the deals than earlier. As far as I know, a number of foreign companies are still in the process of contacting Vietnamese companies and trying to buy them. What is your recommendation for domestic plastic firms to stay afloat amid the bruising competition? And what recommendations do you have for the Government? We often say that with the current market mechanism, enterprises themselves must strive to improve their competitiveness and develop. The association also co-operates with its member companies to come up with suitable measures to support enterprises, especially SMEs. Currently ministries, during the process of drafting policies, are seeking opinions from other organisations more often than before. So we have a voice in the Government’s policies. We expect the Government to work with enterprises to set up training schools for the plastics industry. This is the core and foundation to make the plastics industry to develop sustainably and improve its competitiveness. The Government should have a policy to call for investment by foreign enterprises as well as the association’s member companies in production of raw materials such as polyethylene and polypropylene.